There has been recent changes in the Sentence Rearrangement in the English Section. 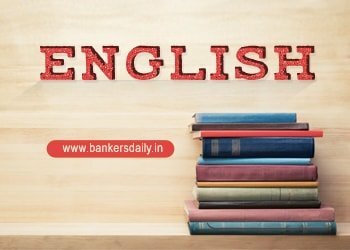 Even in this year SBI PO mains examination 2017 , the sentence rearrangement has changes and in that pattern , the first and the last sentence would be fixed and aspirants has to find all the other sentences in the given jumbled passage. Even though this section is limited to little changes , who knows there can be changes even in this section in the forthcoming exams. We have to be updated for all the challenges which is yet to come in the the forthcoming exams.These paragraphs are taken from the recent editorials from leading Dailies and Journals and this ranges from easy to moderate to difficult. So crack these questions to excel in the exams. (A) New fault lines have formed in the All India Anna Dravida Munnetra Kazhagam in Tamil Nadu. (B) The merger and the retrieval of the election symbol of Two Leaves were seen as political necessities, but not the insistence of the Panneerselvam faction on carrying on a political campaign almost entirely on an anti-Sasikala platform. (C) By making the isolation of the Sasikala family a pre-condition for the merger, the Panneerselvam faction appears to have left Mr. Palaniswami on shaky ground. (D) To retain their relevance, Mr. Dhinakaran and other members of the family were forced to coalesce into an opposing group. (E) While Mr. Dhinakaran was not against the merger per se, he and his kin have not taken kindly to the depiction of the political reunion as a logical outcome of popular aversion to the Sasikala family. (F) Though Mr. Palaniswami managed to defer a decision on expelling Sasikala until after the convening of a general council meeting, in the popular imagination the merger was made possible only by the sidelining of the Sasikala family. (G) However, rather than project his opposition as another split in the party, he is keen to fight the battle from within.